Penn’s Village members were enthralled last year by Ken Frank’s well researched talk and entertaining slides about the ecology of Rittenhouse Square. As the author of The Ecology of Philadelphia, Ken is well versed on how biodiversity in gardens can give pleasure. 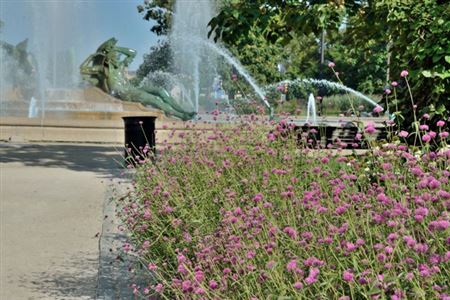 The presentation will focus on Center City and include practical tips for city gardens. We will meet in the MacColl Room, in the First Presbyterian Church (entrance on 21st Street) at 1pm. The presentation will be an hour and a half, including time for questions. This program is free for Penn’s Village members and volunteers. Other guests are welcome to attend three programs before joining or volunteering. A $5 donation to Penn’s Village from guests will be most appreciated. To register, email info@pennsvillage.org or call 215-925-7333.